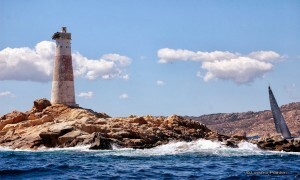 Home » Latest News» Why choose to live in Sardinia? Why choose to live in Sardinia? Choose to live in Sardinia is…. Residents of the Italian island of Sardinia are known for their longevity. Now, a new study also shows that elderly Sardinians are less depressed and generally are in a better mental frame of mind than peers living elsewhere. The study, led by Maria Chiara Fastame and Maria Pietronilla Penna of the University of Cagliari in Italy and Paul Hitchcott from the Southampton Solent University in UK, is published in Springer’s journal Applied Research in Quality of Life. Findings from the latest study highlight the effect that one’s region of residence has on psychological well-being. It was noted that the Sardinian way of life trumps all else, with older Sardinians being less depressed and experiencing higher levels of personal satisfaction and coping strategies than is true for the norm. In contrast, the elderly from Northern Italy struggled with depression. “Positive ageing is more evident in Sardinia, especially in rural areas, where the maintenance of an adequate social status and physical activity help guarantee a positive level of mental health in later life,” conclude Fastame and her colleagues.